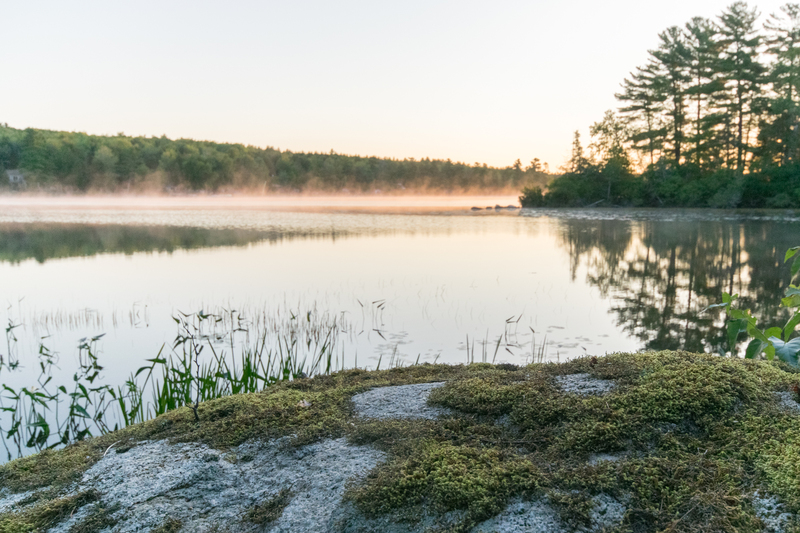 Before you purchase that lake, ocean or river front land, home or cabin in Maine, you should know a little about shoreland zoning rules. This includes all area within 250 feet of the normal high water mark of the water feature. Knowing the basic rules will help you better select a property that meets your expectations. 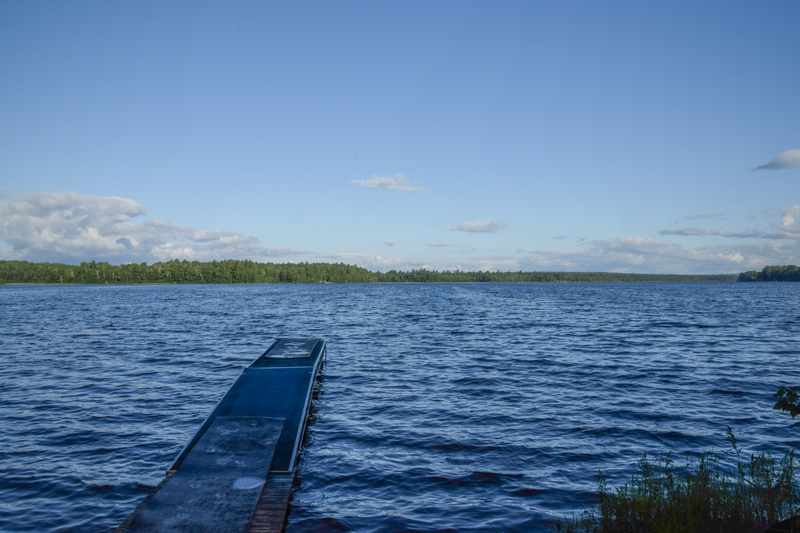 As Mainers, we often take good water quality for granted. It is well protected here, but that is not the case in every state. Recognizing the value of water quality to fish, wildlife and us humans, the state adopted shoreland rules with beginnings in the 1970’s that continue to be updated today. The reasons for mandatory shoreland zoning are many, including such goals as preventing water pollution, protecting wildlife habitat, and conserving the scenic beauty of our special places to name a few. The rules do depend on where the property is located, either organized or unorganized township. Also, what property type you are going purchase, such as an unimproved waterfront parcel or an existing residential structure. Also, please note that every organized town can have slightly different rules depending on the ordinance they have adopted, but all will comply with the minimum requirements. Check in the code enforcement officer (CEO) of the town to get the local ordinance. For unimproved lots, here are the basics. Minimum Lot Width – within 100 feet of the high water mark shall be equal to or greater that the required water frontage. Minimum Set Back for buildings – For great ponds and rivers flowing to great ponds 100 feet from the high water mark. For other water bodies, 75 feet from the normal high water mark. Vegetative Clearings – This is a probably the most misunderstood of all shoreland rules. Review the ordinance for formulas to use prior to any harvesting of trees and/or other vegetation and do consult with the CEO prior to beginning to avoid possible fines and other penalties. If you are purchasing a non-conforming ( AKA “grandfathered”) structure the rules for additions, expansions and other changes can vary a lot depending on the size, setback, height and other features of the structure. All of these changes will at a minimum require CEO approval, commonly planning board approval. There are many exceptions to the above. This can be a complex topic, so I have provided a link to the Maine Department of Environmental guidelines here should you need additional information. 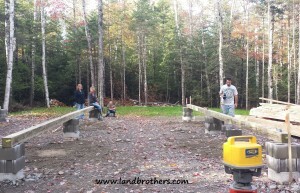 Maine Subdivision Rules - Should You Develop Your land? In Maine, there is a difference between a division of land and a subdivision of land. In most municipalities dividing your property into two separate lots requires little or no permitting. However, dividing a property into 3 separate lots within a 5-year period does require approval in most cases, and is the definition of “subdivision” in our state. Why would you want to do a subdivision? Most property investors look at the subdivision process as a way to increase the per acre value of their property. At first the thought of a smaller lot being worth more does not make sense, but consider that by reducing the size of the acreage you bring the gross selling price lower and within the purchasing power of more people. More people competing for a property usually translates to more demand and a higher price. Higher prices may or may not translate into more profits. Before jumping headfirst into a subdivision some research and planning should be undertaken. Market conditions should be the first consideration. Data such as recent comparable lot sales, how many sales have occurred, lot sizes of successful sales, what is the current supply of lots, absorption rates, and financing availability to name a few. Next what will be the costs of surveying, wetland delineation, engineering, road construction, soil testing and other requirements of permitting? After thorough analysis and due diligence a property owner can decide if the risk is worth the reward to subdivide. Every organized town in Maine may have a slightly different subdivision ordinance. The unorganized territories in Maine have a uniform ordinance with little variation in requirements. Typically, a local planning board will review a proposed subdivision to see if it conforms with the ordinance. The process will consist of several meetings starting with a presentation of a preliminary sketch of the proposal. This is followed up with notifications to the public and nearby property owners of the proposed subdivision and the date of the public meeting to review it. This next hearing consists of a more formal presentation of a preliminary survey plan of the layout of the proposed lots, roads, easements, slopes, soils etc. Public comment is permitted and heard by the board. After this meeting any changes required by the board need to be addressed and another hearing with a final plan will be scheduled. Assuming no other issues are outstanding, the board will sign the final plan that will be recorded in the county registry of deeds. There are a number of exceptions to the rule to sell property without the process of subdivision. Gifts to relatives (see definition in statute) may be exempt if the donor has owned the property for at least 5 years and the consideration is less than ½ the current assessed value. Sales to abutting property owners may be exempt from subdivision rules. In unorganized territories, 3 lots can be created in a 5-year period as long as the 3rd lot is retained for forest management purposes. This is often referred to as the ‘2 in 5 Rule.’ There are other exceptions listed in the statute linked above. This post is intended to encourage a thoughtful process in land investing and should not be viewed as an endorsement to subdivide your property. In many cases I would advise clients not to. The above descriptions are a simplification of the process, not a complete outline of all potential requirements of every planning board. You are well advised to consult with experienced professionals like real estate attorneys, surveyors, soil scientist, and land brokers before undertaking the subdivision process. Maine has a long tradition of landowners allowing reasonable public access to private lands. As a Mainer I want to thank all of those land owners who allow this. I do not post my land as we also enjoy using lands of other landowners who also allow access for recreation on their lands. If you wish to keep your land for your own use, Maine does protect the landowners rights to privacy. Title 17A Section 402 explains how the landowner must post their land with signs or paint to legally restrict access over their property. Signs or paint must be within 100 feet apart and be visible so that a potential intruder can see the restricted access. Signs must be specific as to the restriction ie. no trespassing, access by permission only, no hunting etc. Painting is the easiest way to post your land, a vertical purple painted stripe 1 plus inch wide on trees 3-5 feet above the ground means access by permission only. These stripes need to be no more than 100 feet apart and need to be maintained so that they are conspicuous to any person who may approach your boundary lines. A verbal warning to a trespasser is also a legal means of enforcing your property rights. If you confront a hunter on your land you have the right to inspect their hunting license to determine who they are, if they refuse they have violated Maine law. If convicted they can loose their hunting rights for a year and possibly forfeit their firearms to public auction. If a hunter wounds a game animal which then enters your property the hunter does not have the right to enter your property to retrieve the animal. If you are concerned about the access please contact the local game warden and allow the hunter to retrieve the animal to prevent the waste of the game. We are often asked by landowners that if they post their property to restrict access if they can still legally hunt their property. The answer is yes. The landowner does still need to purchase a Maine hunting license and abide by all applicable hunting rules and regulations. We are also asked about landowner legal responsibility for keeping their property safe for recreational users. The answer is no as long as you do not willfully or maliciously fail to guard or warn against a dangerous condition, use, structure, or activity. We hope this helps Maine land owners manage the land they way in which they want to. To understand that if they wish to keep it for just themselves that is a right that they are entitled and protected. For those who leave their land open for public use this Mainer and many others say thank you and respect your property rights. Buying a home or a piece of land can be a very enlightening experience. One of the more overlooked pieces of buying real estate is the fact that in most instances you will at some point need permits to complete renovations or build new structures. Permitting is different depending on the location of the parcel and can be overwhelming to a new purchaser if they have no experience with the permitting process. Permitting is mandated by Federal, State and/or local authorities. Though the permitting process in most regions of the State of Maine is straight forward, permitting in the Unorganized Territories can be arduous if you are not familiar with the regulatory requirements. Unorganized Territories in the State of Maine are overseen by the Land Use Planning Commission or LUPC. When you are ready to build, subdivide, mine, etc., you can go online to the LUPC website or call the representative in the jurisdiction where your parcel of land is located. Generally, in either case you will receive a lengthy application with vague directions to complete along with a regulation manual, which are the regulations that must be followed when completing your chosen permitted activity. Most individuals will struggle through the application process usually resulting in the submission of an incomplete application and much time wasted. However, there are a few easy steps that can make this process less stressful. First, find your parcel of land on the LUPC Parcel viewer located on the LUPC website. This viewer will give you the information you will need to follow the regulation manual, such as which LUPC Zone your property is located. In most instances there will be more than one zone. Second, make sure you understand what can be done in each zone to ensure your project fits within the regulations. This can be accomplished by reviewing the sections of the regulations that apply to the zone where your property is located. Third, acquire a copy of your deed. You will need to research the last 20 years of deed history and get copies of the deeds to submit with your LUPC application. This can be accomplished by visiting your county registry. Most of these files can be purchased online. Last, you are now ready to complete your permit application. Fill out all questions. Refer back to the regulations to ensure your project fits the zoning requirements. The last page of the application contains a check-off sheet. Review this sheet and check all that apply. This will ensure you have a completed application on the first submittal. Though it sounds easy, if you have questions don't hesitate to contact a LUPC Representative or an Environmental Consultant that can answer your questions. It is a lot less expensive to ask when in doubt than to try to complete something you don't understand or to receive the permit and have your interpretation being different than LUPC.